One of the most beguiling cities in Europe because of its rich history and culture is Avignon, Vaucluse in France. And to keep it alive even after a long time, it hosts the thoroughly modern Festival d’Avignon or the Avignon Festival, one of most prestigious art gatherings in the world. Moreover, film, literary readings, art workshops, debates, and children’s theatre — all events suitable for all ages as well as locals and tourists. Now, Avignon’s culture is presented at the festival with a blend of contemporary. The whole festival ‘under the sun’ is enjoyed by an audience of more than 100,000 people in the month of July every year. It’s altogether anarchic, vibrant, and exciting. Performers can be easily found as you go to Avignon. Just look for a group of people and you’ll definitely hear a melody of a song or see an amazing artwork. But there are also talented performers who managed to rent a place. Though, both aim to gain public recognition and push through greater things. 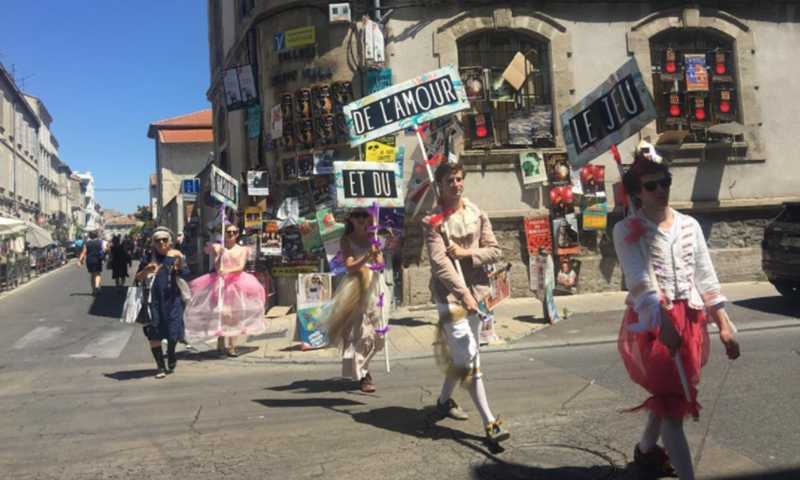 The positive vibe and creative atmosphere in Avignon every July creates a wonderful summer experience in France, revisiting and loving history and culture are the same time.